Papandreou was welcomed at the White House by VP Biden. He addressed government’s efforts for restructuring the economy. 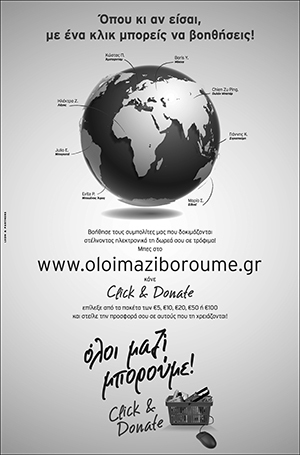 New York.- Prime Minister George Papandreou left the United States after a week-long trip satisfied with what he called the positive results posted by the Greek government in meeting debt-reduction and fiscal consolidation targets, which he said were highlighted in meetings ranging from US Vice-President Joe Biden to Wall Street and contacts with investors and financial analysts in the US metropolis. 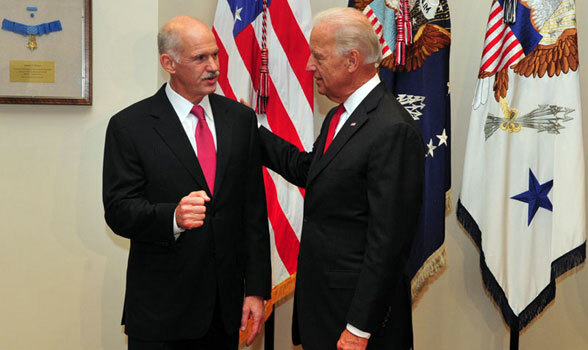 Greek Prime Minister George Papandreou with US Vice President Joe Biden during their White House meeting last Thursday. Photo: Dimitris Panagos. Papandreou on Thursday briefed reporters over his whirlwind round of contacts with international leaders on the sidelines of the 65th UN General Assembly, including a brief meeting with US President Barack Obama here, and during a lightning trip to Washington D.C. for talks with US leadership. According to Greek government sources, president Barack Obama referred to the difficult task facing the Greek government and positive steps taken so far. On his part, Papandreou congratulated Obama for his opening address at the 65th UN General Assembly and particularly for his recent initiatives vis-a-vis the Middle East, agreeing that all sides must contribute in order to find a solution. The Greek premier also extended an invitation to Obama and his family to officially visit Greece. “A government that wants to can stipulate conditions and a development mode; whatever happens within a philosophy of green, viable development and not concrete. Whatever we do there will be mutual benefit and high-quality tourism, along with renewable sources of energy and the development of region that will add quality of life to our cities. This (agreement) was a vote of confidence for our country,” he said. 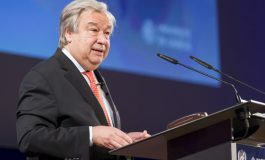 Asked about a reference by Turkish President Abdullah Gul for the need to implement international law, the Greek prime minister said the “reference to international law is a positive development”. The framework cooperation agreement, or Memorandum of Understanding (MoU), was signed by Greece’s Minister of State responsible for international investments Haris Pamboukis and the Chief Executive Officer (CEO) and Executive Director of the state Qatar Investment Authority’s (QIA) investment arm Qatar Holding, Ahmad Al-Sayed, in the presence of Greek Prime Minister George Papandreou and the Emir of Qatar Sheikh Hamad bin Khalifa Al Thani. The MoU notes that the two sides are interested in the development and strengthening of the economic cooperation between the two countries in the field of investments and expresses their mutual intention to extend their cooperation for the advancement of investment plans and opportunities between Greece and the QIA, chiefly in the fields of real estate, tourism, transports, port and airport facilities, banking, financial and credit services and energy, as well as other sectors. 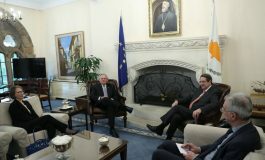 According to the agreement, the QIA affirms its intention to invest in Greece, even through its subsidiaries, with an overall target budget for investments of five billion dollars, and the two sides express their joint intention to cooperation in examining ways in which the QIA may take part in investment opportunities in Greece. In an announcement, the KKE charged that “the government’s plans to turn the Ellinikon area into a casino, marinas, luxury hotel complexes and private airports have nothing to do with the needs and aggravated problems of the people of Attica” prefecture. Commenting on press reports, government spokesman George Petalotis said it was too early to talk about investments and noted that the two sides will try to cooperate on many levels and stressed that the introduction of a “fast track” investment policy by the government was the most significant tool to overcome hurdles in attracting investments. He added that the government was unraveling rapidly its initiatives towards a better management of the state’s real estate property to the benefit of the country in the long-term.